Whether you just joined or you have been a member for years, involvement in the HBA helps you, your business, and the association. Below are the ways members can become involved in the HBA. Are you wondering why the last golf tournament was played at a particular course? Do you have some ideas for education classes? Are you interested in that newest rules and regulations for our industry? Are you passionate about local government? Then join a committee that interests you. Committees are a simple way to volunteer your time, make a difference in the association, and get to know other members. Look over the committee sign-up form and decide which one committee would be best suited to your time and talents. 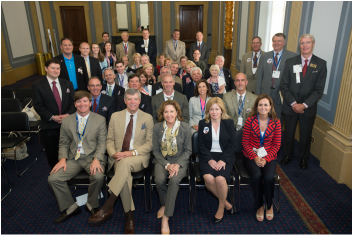 In addition, HBA members can become involved in committees offered within the State and National Associations. Explore what the Triangle Sales and Marketing Council, Remodelers Council, and High Performance Building Council have to offer. If you do not have time to become involved in a committee or council, then be sure to come to our monthly general membership events.